The BJAMS community is proud of it’s commitment to being environmentally conscious. After all, as Pope Francis rightly pointed out, earth is humanities common home. One good example is our mindfulness of trash and waste. In the spring of 2015, the school opted for a comprehensive trash audit, particularly to learn how much waste we were creating throughout a day throughout snack and lunchtime and ways to curb what winds up in landfills. 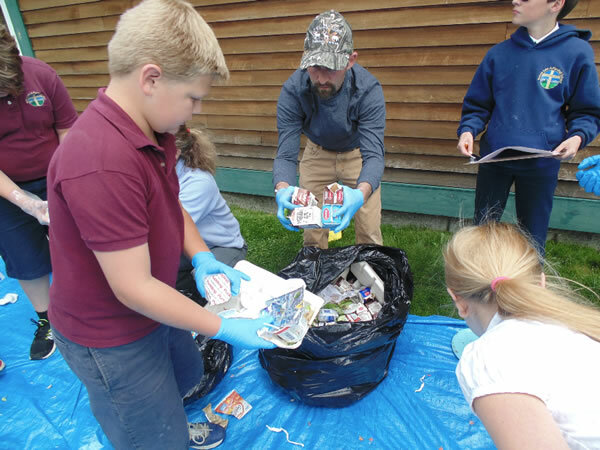 Based on the results of that audit and the advice garnered from the auditors, the school spent the summer working on ways to incorporate more recyclable materials, develop a system for separating trash that cannot be recycled (i.e. plastic wrappers, waxed carton, etc.) from trash that can be recycled and food that can be composted. A system was also worked out to manage compostable materials in all classrooms and this process is managed by students on a rotating schedule. Through these and many other steps taken to be mindful of our trash and our impact on the environment, the school estimates that landfill trash has been reduced by 60-75%, a number we can all be proud of.